Find Lady Shoes , Baby Shoes on Industry Directory, Reliable Manufacturer/Supplier/Factory from China. Black suede upper with a simple and easy to kick Ladies slippers and Slippers For Women .It is bold use this year ' s most popular silver - colored Little Bee eye - catching decoration , next to the size of the size of the mushroom studs . It matches with color PVC blowing bottom outsole , it is the Comfortable Shoes and Fashion shoes .casual home , and can be worn out . It belongs to all styles and can be matched with trousers , skirt , shorts and short skirts .It is the Comfortable Shoes For Women. this Womens Sandals and Flat Shoes are the most popular style and Hot sales shoes. We are providers of quality inexpensive footwear for women and children. This ranges from basic shoes for mass production to smaller orders for target customers. We understand that the business has changed. Population in certain places is aging, and socio-economic values are being challenged all over the world. Therefore buying has become an even more refined and sophisticated endeavor. Our modern and efficient SOURCING office happens to be in China, but our work ethic and vision makes it truly international.We work together with our customers and fine tune cooperation to find the right price points and deliver the best quality shoes possible. We specialize in both Ladies and Kids shoes . 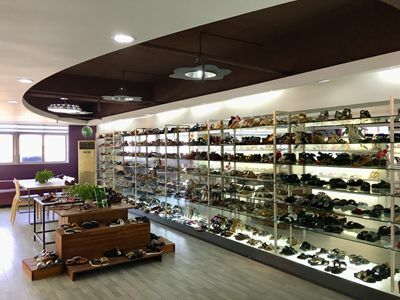 Range of shoes are Ladies Slippers, Ladies Sandals, Ladies flats and ladies heel shoes, Boots, Athletics.... Children sandals, gilrs party shoes, girls ballerinas and Sneakers etc..
information in a changing world, and to provide our value of service, quality and "LESS for MORE" price in shoes business. 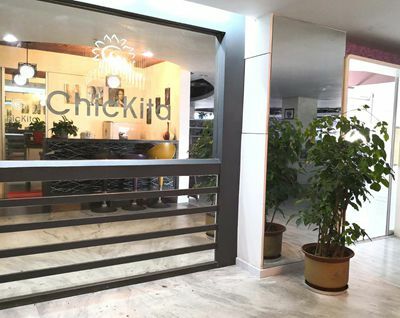 Company Name: CHICKITA Trading Inc. Factory Location: No.4 Zihui Industrial Area, Xian Qiao Twon, Rongcheng District, Jieyang, China. Copyright © 2019 www.fj-shoes.com All rights reserved.